Water and dark spaces are conducive for mould growth.. Once mould sets in you will have to remove and replace your carpet. This can end up costing you large sums money and heartache. If the financial stress was not enough to worry about, the impact that mould can have on your health can be tremendous. This is especially true if you are allergic to mould. We can help you avoid these problems with our water damage repair service. We use an advanced three-stage process to remove every drop of water. When we arrive at your home we assess the situation and get to work removing the water from your carpet. 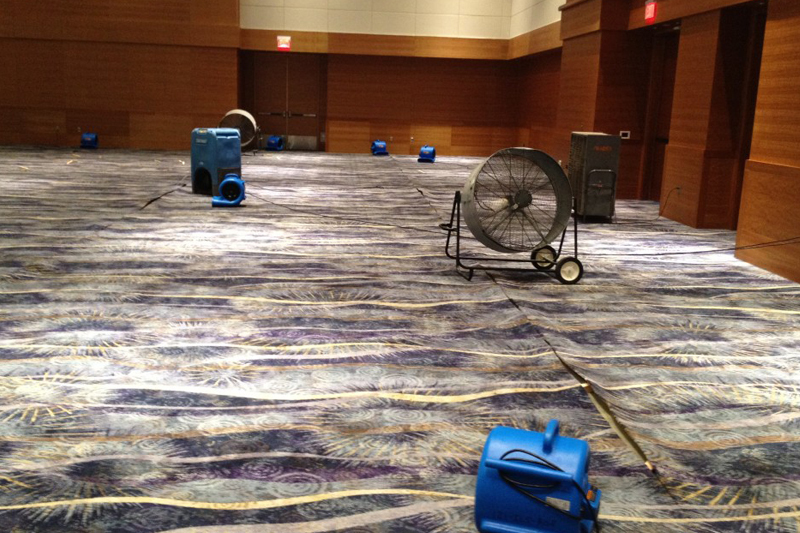 Once the water is removed, we use powerful industrial fans to speed up drying times. The final step is to examine your carpet for any signs of residual damage and make repairs as needed. You can trust Calgary Carpet Repair & Cleaning to get the job done with vigor and class. Contact us today at 587 317 5646 to schedule your appointment.